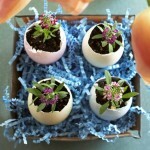 The celebration of Easter is the most important and valuable part of this fun spring holiday. 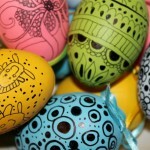 And beautifully decorated eggs are a major part of ceremonial and traditional part of the day. 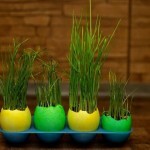 Decorative Easter eggs can be made from scrap materials that are in every home. 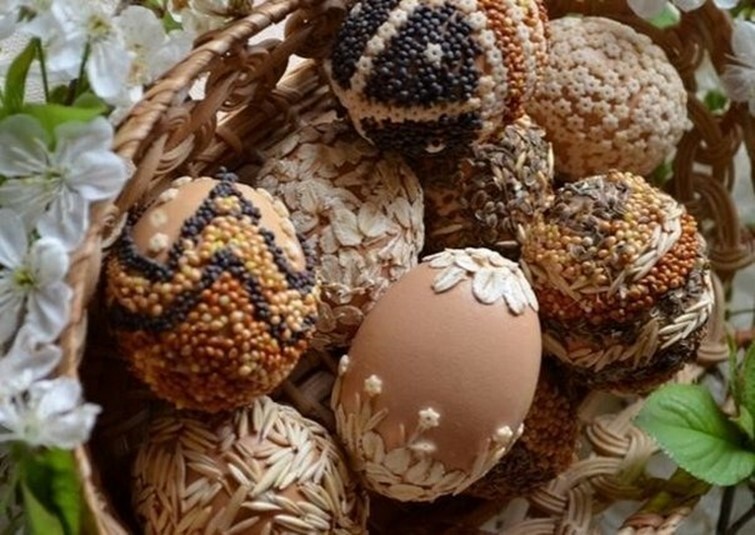 Today we will decorate eggs with seeds of various plants, cereals and pasta, which are in every home. To make this work is primarily needed basis. 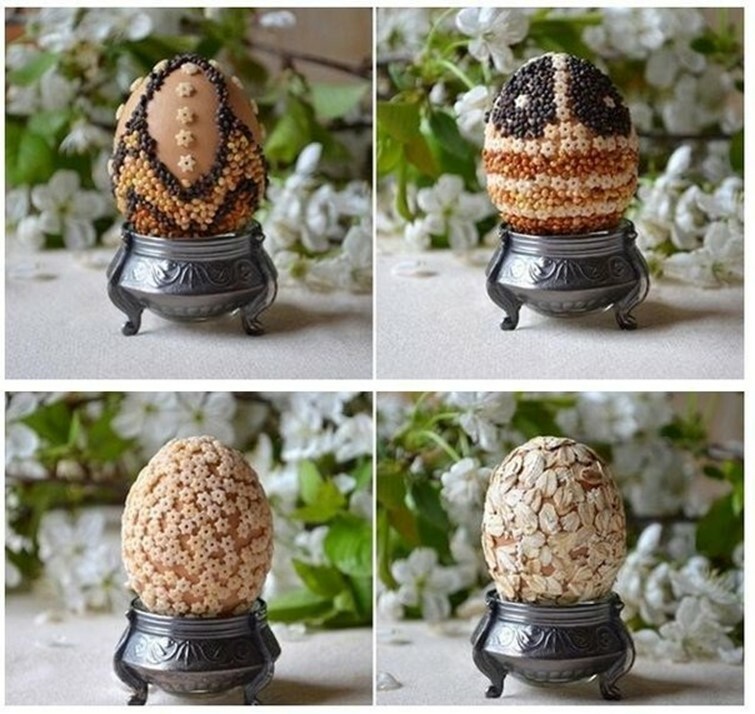 You can buy the ready-made eggs from plaster or wood, which are sold in art shops. Also you make them from normal eggs. For this purpose it is necessary to carefully pierce two holes from opposite sides in the egg. For this we need thick needle. 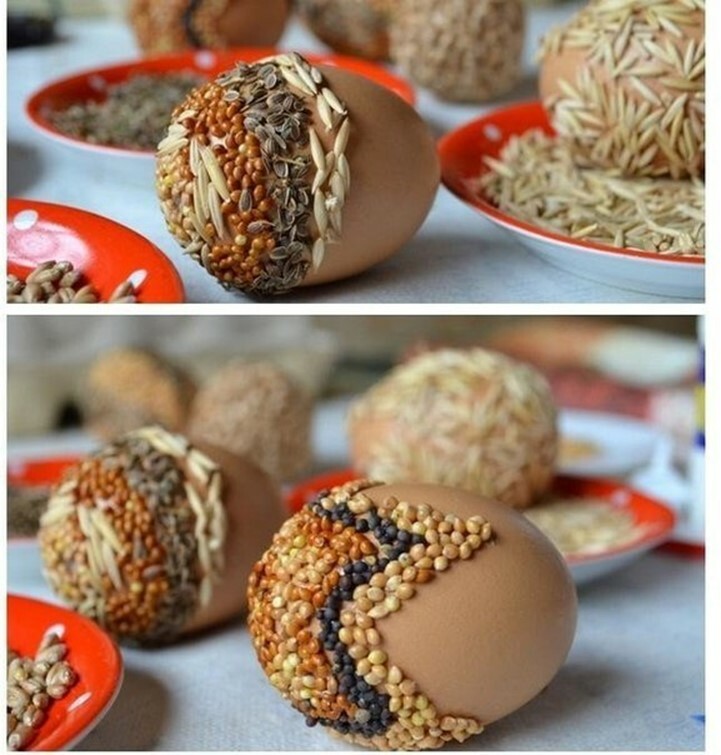 Blow into one of the holes and the contents of the egg will easily come out through the other hole. Rinse empty eggs with water and using a large disposable syringe fill them in melted cosmetic wax (available at pharmacies). 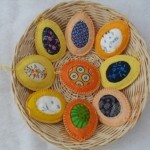 You will need a lot of patience and time, because this work is not for one day. Seeds on the basis must be applied gradually. 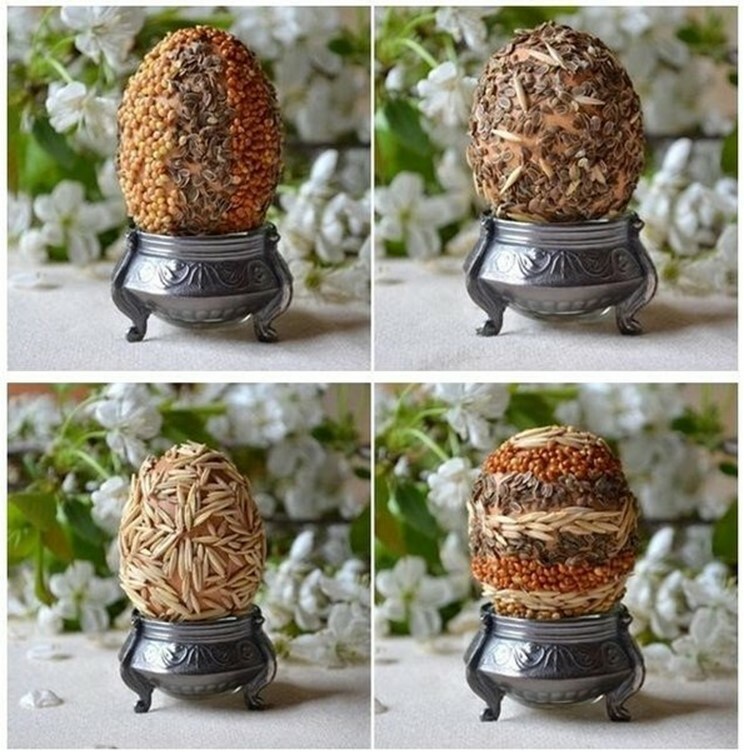 Lubricate the egg with glue and apply the grain first on one side of the egg, and only when they dry out, on the other. 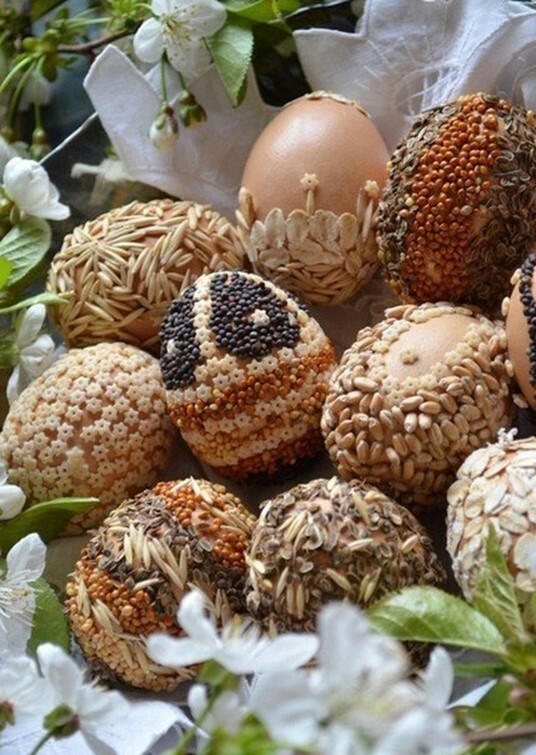 Then you can see examples of eggs, decorated with various kinds of cereals. 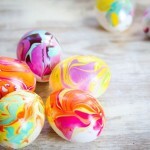 Easter egg coloring with nail polish.